Most of you must have seen an arbitration clause in the terms & conditions of any contract that you sign. Often this term is not clear to many and they fail to understand the impact of this small word. Well there is nothing to panic about it, as we have tried to broadly emphasis on this subject and how it impacts debt recovery. Arbitration or simply known as alternative dispute resolution or outside court settlement is a procedure in which a dispute is submitted by agreement of the parties, to one or more arbitrators who make a binding decision on the dispute resolution procedure instead of going to court. It is governed by Arbitration & Concilliation Act 1996. It is consensual and parties choose the arbitrators and it is a neutral procedure. The decision of the arbitral tribunal is final and easy to enforce. While we talk about recovery of bad debts, often arbitration comes up. Many people get in contract and fail to understand about the arbitration procedure and they end up being miser. To avoid this situation we will discuss about merits and demerits of having arbitration clause in your contract agreement, how it is invoked, and how it works. If your credit contracts require that disputes if any arise will go through arbitration, debt collectors can begin that process to try to collect the debt. As mentioned above, arbitration proceedings can be filed on behalf of original creditors as well as debt collectors who purchased the debt. It’s outside court settlement, hence saves time and efforts. Does not involve hassles and tedious process like in litigation. Parties can themselves mutually appoint Arbitrator. These Arbitrators are qualified in ADR i.e Alternative Dispute Resolution. They are unbiased, neutral and transparent. Purely decide case on facts. One can ask for “fee waivers”. There’s an option to have a hearing in writing by phone, or by email. A written or telephone hearing may cost less than an in-person hearing. The arbitrator’s decision is binding even if one does not participate in the process. The process is little costlier than usual court proceedings. 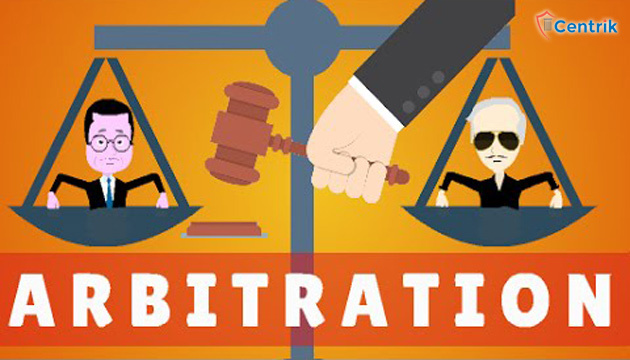 The companies favoring Arbitration may be more familiar with specific Arbitrators, as well as the process in general. It is very difficult to appeal arbitration rulings, even if an Arbitrator has made a blatant mistake. Although not common, this can sometimes result in what may seem as an unfair result with only a small chance that a court can step in to correct it. Arbitration is invoked at the very moment when contract is signed between two parties or more. If any dispute arises, matter will be resolved via arbitration. If your contract contains this clause then settlement will be through arbitration only. A party if not satisfied by the decision of the authority then it can challenge the award at the court. Before getting into any contract, do consider your comfort and check for dispute resolution clause mentioned in the contract. Arbitration is a fair and transparent method adopted for speedy recoveries by many corporates. Every procedure has anomalies but arbitration has more of advantages and can be in the terms & conditions of the contract that you have signed or are about to execute.